spring by the calendar is here, but with snow in the forecast we continue on the spring roller coaster. having the day off today i worked on some projects that have been lurking in the sewing pile. 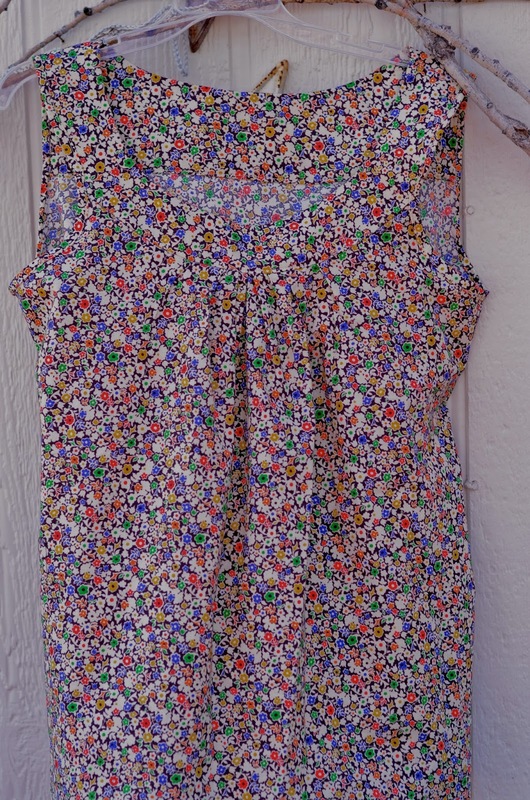 a blouse pattern that i can not recommend and will never use again, but love, love that liberty of london fabric. i made the blouse for me but hated it, caitlin tried it on and really liked the print. so i took it apart, cut it down to a caitlin small-resewed the seams and whala, a sweet summer top that can be worn by it self or over a tee. last night the girls were here for our thursday sewing club and all the “sew together bags” are a whisper from being completed. the next project should involve buttons, either on shirts or skirts. thanks for popping in...see you soon. st. patty’s has come and gone, the corn beef and cabbage is now being eaten as left overs. I also made Guinness beef stew that i was not impressed with....oh yeah, the irish are not known for their cooking! it was bland, bland and bland! but i did get my peas planted and what excitement! i love going out and checking..daily, are they growing, can i see them peeking up through the ground? oh the joys of having a garden, i’m simply shaking with anticipation. i have decided i am done buying bread and ground some wheat berries and made bread! it is so GOOD. in the finish list is a zipper bag and two pairs of boxer shorts. both were fun to make and projects i will be making again. in the “to do list” i cut fabric for two baby boy quilts. two friends, each having a boy, such joy! i used fabric out of my stash. i must admit how joyful it is to use stash, revisiting old buys, remembering where i was when i bought it- as well as who i was with. old fabric buys and old friends remembered, so fun so relaxing. that beautiful flower, it was given to me as a bulb at christmas that grew into a beautiful much needed winter flower. the march winds continue to blow here on the front range. today not only wind but grey and low lying clouds infusing over the mountains. oh spring, how hard you are trying to move winter out and drag summer behind you. one day snow, the next chirping birds hanging out on the back feeder. but nothing consistent one weather way or the other. so while these changing days are here, i will continue to cook comforting-cool weather food. our first meal was old fashion pot roast. and a new slow cooker. braise meat, saute onions, garlic and carrots. pour more broth over meat and cook slowly. make rich gravy from broth that meat has been cooking in all day. sadie appears to be ready for shopping! 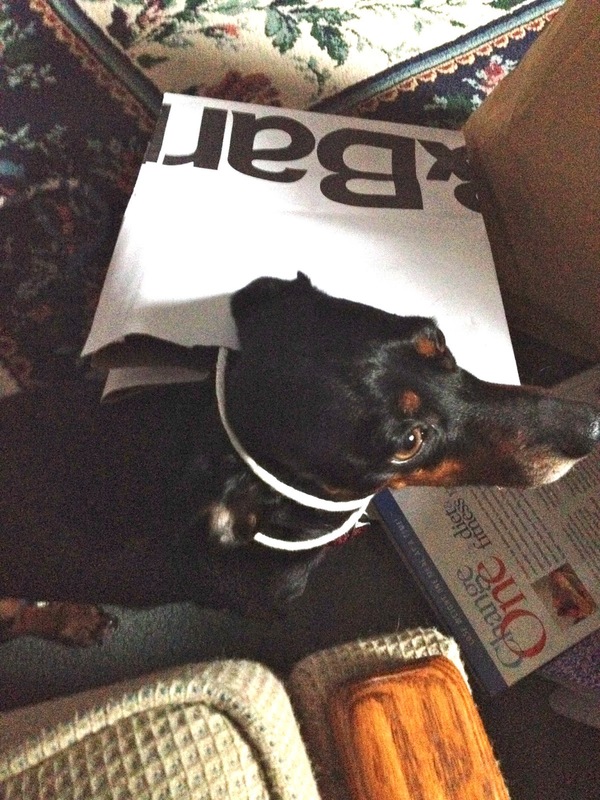 i found her wandering around the house with her bag in tow, or rather the way she prefers to carry it-around her neck. she looked at me like it was the most natural place to carry a bag, for a dog! made the cutest pair of boxer shorts! i have 3 more ready to go. these are a quick sew pattern and easy peasy! fast too! several of my co-workers would like a pair for themselves but i am not a sewer for others. plus when you reveal the cost of the fabric they all have that look”are you kidding me”. i think i will keep my present job and continue to sew only for my enjoyment. 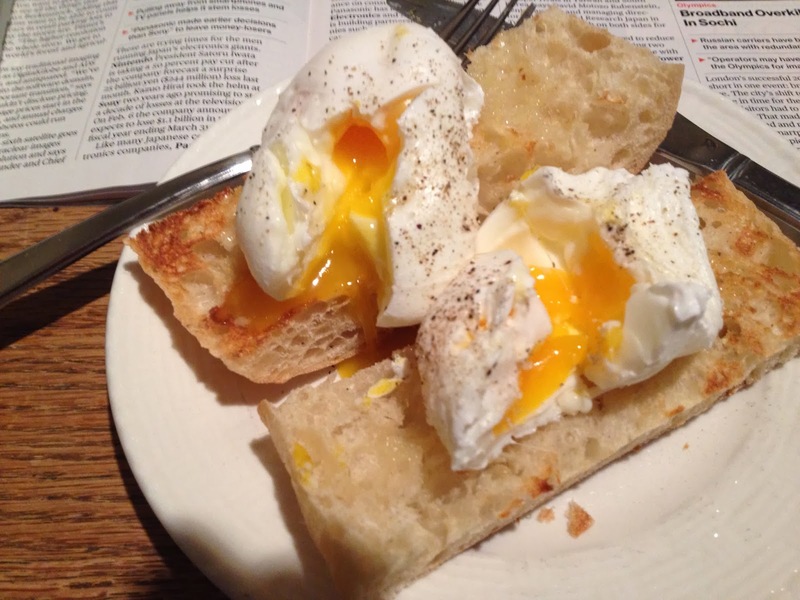 attic 24 had a wonderful tutorial on poaching an egg “english” style, and was it yummy. give it a try and be sure to use fresh bread and plenty of pepper. it’s LENT any plans out there. historically my sister and i give up alcohol but rarely make it the entire 6 weeks. so instead of feeling like a failure we are going to name 10 things a day that we are grateful for. we have our little note books and as it has been known to say: “we are going to name it and claim it” !